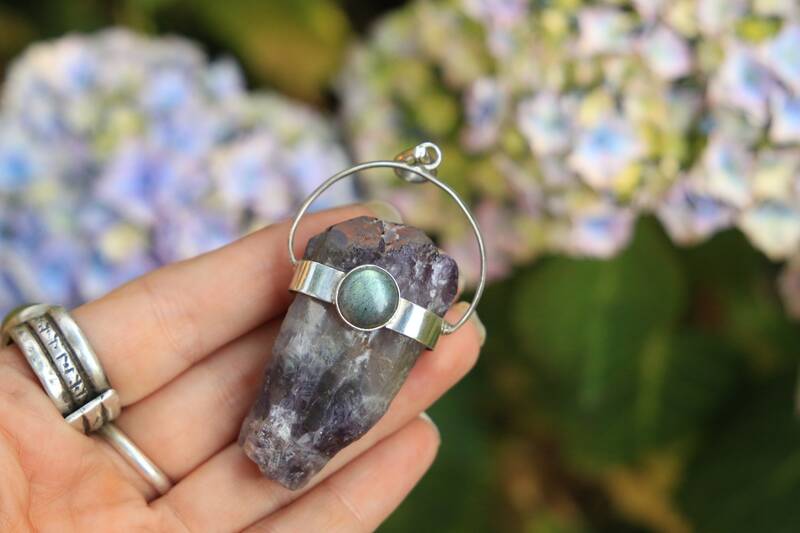 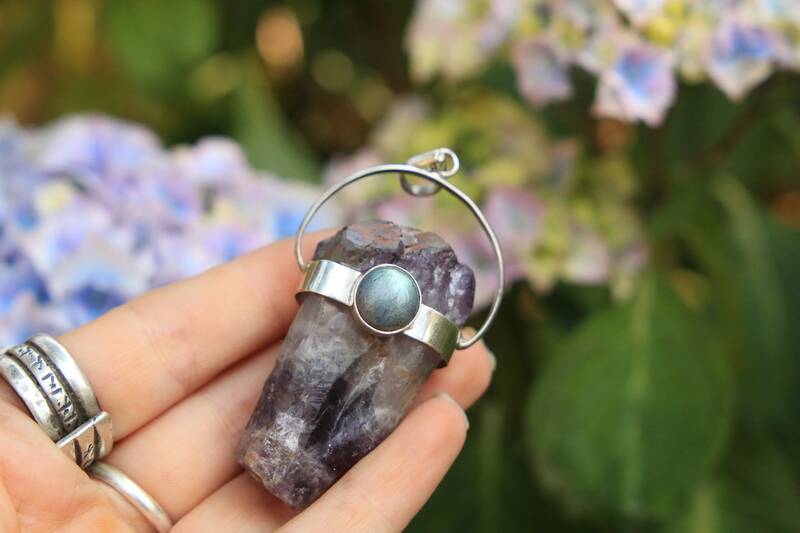 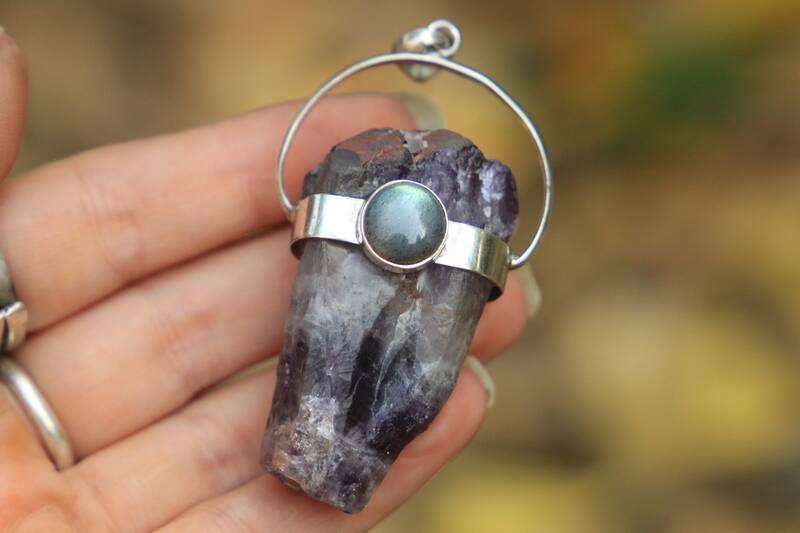 Using a statement and rustic Amethyst crystal and mini glowing labradorite gemstone we sourced on our adventures in India, we've handmade this unique Sterling silver necklace for you to treasure. 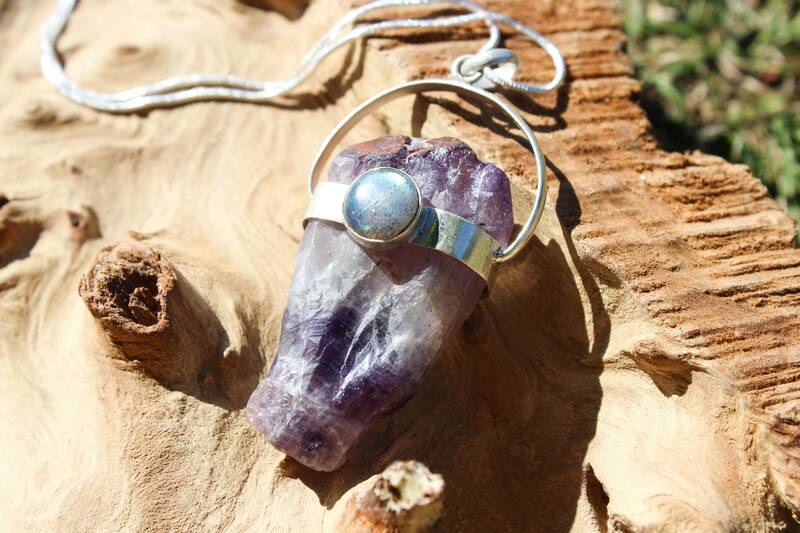 Amethyst and Labradorite work well together and enhance each others mystical properties. 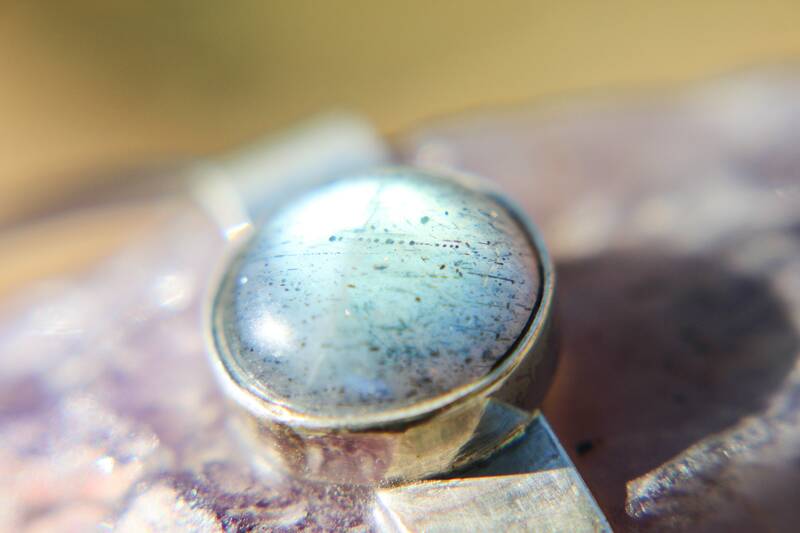 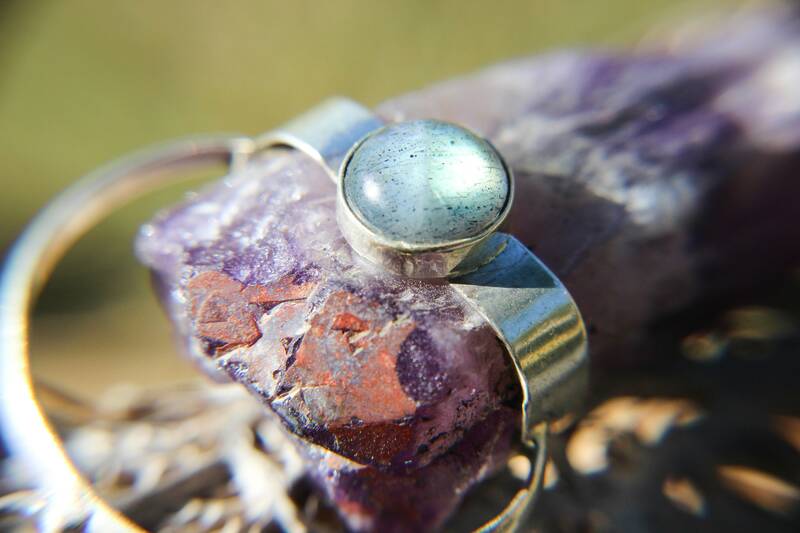 Labradorite is a glowing iridescent stone with cosmic colour running through it.